Unisex full-zip jacket for adults (for men and women). Waistband with hem and draw string. Coloured inlaids on the front and on the sleeves. Polyester contrasting trimmings on the sleeves and on the neck. Elasticated sleeves cuffs. Available in a variety of colours. Matching colour zipper. Normal fit. The team uniform is an essential item for all sports teams. 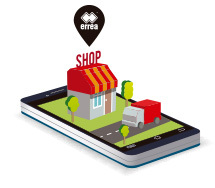 Austin by Erreà is a tracksuit jacket specially designed for all the occasions in which athletes want to show off their team colours: whether in your free time, before or after a game or any other special event. 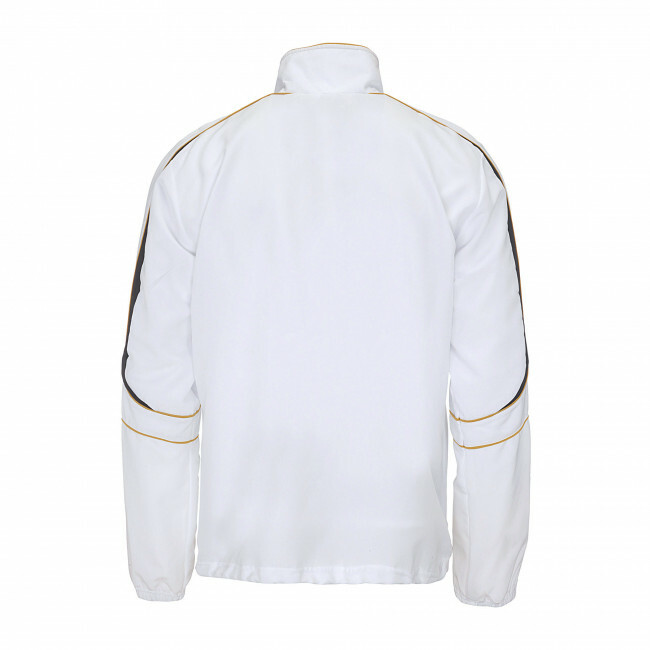 This tracksuit jacket, suitable for both men and women, is athletic and extremely lightweight, and it features coloured inlaids on the front, so that you may show off your team colours whenever you want. 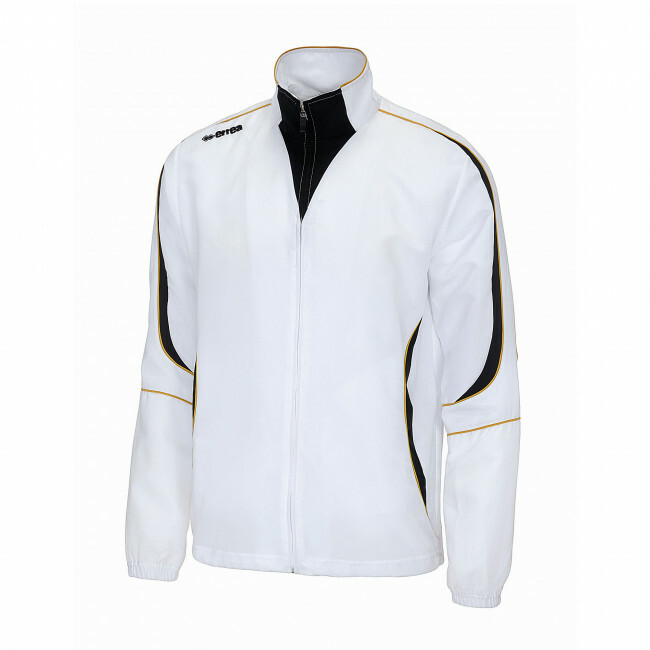 This jacket is suitable for any sports activity and to use in your free time. Thanks to the adjustable draw strings, it guarantees an impeccable fit. The breathable fabric it is made of allows you to wear it even when you practice your favourite sport. Erreà's attention to details is manifest in this jacket too. It shows in details such as, for example, the zipper closure in the same colour as the jacket, and the inlaid on the collar that matches the ones on the front. Its polished yet modern design, is just perfect for any sports club.